Those who follow my posts in various places no doubt noticed that there has been a several week period where posts were few and far between. I apologize for the lack of goat goodness for you all, but sometimes a break from social media is simply a necessary thing. Anyone who has been online for any length of time knows how volatile the culture is on a whole, bolstered by misinformation, and quick to turn on anyone at a moment’s notice and with just the slightest misunderstanding. When you are someone who keeps animals/livestock and share them online, you learn quickly that everyone has an opinion on what you’re doing. We live in a world where everyone feels very entitled to that opinion too. Opinions generally based on what they read by one stranger or another, then passed as their own thoughts, parroting what is often misinformation from forum to comment section, spreading like a contagion with no actual cure – not one people will take easily anyway. Those who are against the eating or “use” of animals make it a special mission to spread their view of livestock keeping, often bolstered by the worst they can find, aiming it at everyone with one broad stroke of their antagonistic brush. People with little to no practical knowledge of the animals they claim to love open rescues, raking in advertising revenue that they use to attack the very breeders and keepers of the animals they seem so desperate to save – even at the expense of the very animals themselves. It’s not just the “animal rights” folks either that contribute to the spread of inappropriate advice and “facts” either – there are a multitude of forums and groups filled with keepers who have themselves been told or learned something incorrect, but insist on continuing to teach it to others, and they often not only clamp their hands over their ears when someone attempts to help them see a different path, but they will attack viciously at the least provocation at times, making giving any advice at all a dangerous habit to have. On the other end, there are keepers who consider themselves “above” others, taking any chance they can to leave a snide remark or questioning comment in an effort to “catch” you yourself doing something they consider wrong. Minefields in every path for anyone who chooses to make their farm and their actions a public matter. As someone who has been on the internet a very long time, I was well aware of these issues from the beginning. For the most part, I’ve always been more than able to brush them off without a second thought. Most comments stem from ignorance, and while some people are open minded enough to learn different than what they were originally taught, many more are insistent that the first thing they read is the only thing that matters. Nevermind the fact that what they read was written on Reddit or Facebook by someone who read the same thing somewhere else, and none of those spreading it have actually laid hands on what they’re speaking about. It happens far too often, in far too many places. Years ago I still had a lot of fire for fighting these issues, doing my best to educate and share the truth of what we’re doing – and not doing. Now, the fire is barely more than a smolder I admit – the years have cooled my desire to spend so much time actively combating those issues. Not to say that I do not still do my best, but in more limited ways, sticking to my own “areas” of the internet and not putting my nose where it isn’t asked for. I am always around to those who come to me with honest questions or concerns, and I share as much as I can from my own experiences to those who come looking for them. I do my best to not hand out advice to anyone unless they are seeking it. All in order to avoid the confrontations and controversy that I just do not have a stomach for. It finds me anyway of course. Just a few of the comments I see on a regular basis – paraphrased of course, as I have seen multiple versions of each, in various places. Really just the tip of the iceberg – but you can understand how exhausting and wearing it can be. I do not generally respond to these types of comments or messages, and in fact delete them immediately. I’ve learned through the years that responding almost never yields you any kind of positive response. The kind of people who leave these comments are close-minded and aggressive about it – responding is like throwing chum into waters infested by tiger sharks. I’ve also related it to beating your head against a brick wall – no progress is made and you are left hurt and in worse shape than you began. It’s not a complete loss however – more than once have I had one of the zealots approach me and asked why we responsible goat breeders do things the way they do (as you can imagine, disbudding is a common topic) and actually listen and consider the other side. Every one of those I can make understand our point of view – as people who actually work daily with these animals and understand them – it is a victory, and perhaps that person will explain it to others, making some small ripple against the other side’s continued attacks. More hurtful to me are the other breeders who are giving bad advice to newcomers, or don’t seem to understand that their way – while good for their goats – may not work for someone in a completely different location. For instance, I have had keepers from other locations sneer at how often animals in our area – where it’s incredibly hot and humid nearly all of the year, with no freezing weather – struggle with parasites and pneumonia, as they themselves may not have so many issues with said things. Inversely, I’m quite certain they have problems that I have little experience with, although my friend who moved from Idaho to our area (which I’m starting to believe has to be one of the worst places to keep goats) often laments how little problems they had there compared to here. Other keepers who raise goats for different goals than we do have been known to gossip and judge – the low price of our kids have raised eyebrows by those who don’t understand that our larger size and need for the milk gives me the luxury of moving kids into new homes quickly and for low prices. Where I see this as a wonderful way to place well bred healthy animals into hobby homes that maybe could not afford it otherwise, others see it as some kind of proof that our animals are poorly bred. In a world where everyone knows everyone, you inevitably hear what so-and-so has said about you, regardless of how brightly they smile to your face. I have to admit as well, even those who come seeking my help can be exhausting. While I have always been available to help those, it can turn into an exercise of frustration in many cases. You can give someone the best advice possible, only to have it all ignored. 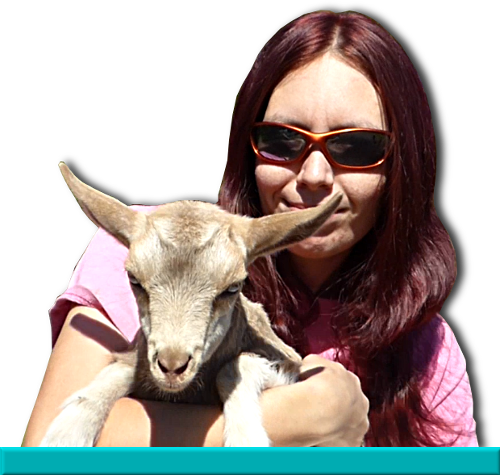 More than once have I helped a prospective goat owner to know what to look for in their future pets, only to have them purchase animals in poor health that bring home a host of problems that more often than not, they need help with. Others ask for advice, receive it, and are never heard from again – which of course, is their right, but it’s often disheartening to not get even a bit of gratitude for the hour I just spent advising someone, and to never know the outcome. Some ignore your advice completely (which again is completely in their right to do so) and then return to tell you so and describe how the problem is now twice as bad, wanting even more advice that will go ignored. No one should ever feel obligated to do as I say, only you can decide what to be done with your animals, but having these situations happen on a regular basis can become incredibly draining. When it comes down to it, my advice is worth what you paid for it, and I will never claim that my opinion on a method of treatment or care is completely right, or the only way to do it. I always try to stay open-minded myself, ready to listen to opposing points of view and consider them. How else will I continue to learn? But remember that I am still taking the time to help you – sometimes even consulting with other breeders I trust – and these days, time is one of the most valuable assets I have, pinched and pulled to try to find enough of it to keep up with everything I do. The only payment I have ever asked for is honest consideration of what I have to say, and maybe a quick thank you. When I chose to be such a “public” farm, sharing so much information about what we’re doing, I knew I was opening myself up to all of this. I accept it as a reality, no matter how much I might wish different. However even the most thick-skinned of us can be pierced by what the general public can throw at you, and the break from posting what much needed. I confess that during those weeks, I heavily considered bringing the social media presence of K-N-S Farm to an end. I wanted to close the pages on the majority of the non-essential platforms we post on, limiting the lanes of access in order to cut down on the barrage of interaction to deal with daily. It came quite close, to be frank. But I remembered why the entire social media empire began in the first place – to share my love and passion for these funny little animals. To show people my beautiful bits of artwork that I have worked for years to produce. To help others learn from the inevitable mistakes I make, so that they do not repeat them with their own animals. To let so much hard work over the years fall into dust would be nearly a crime, and so we will keep at it. We hope you stick around with us.